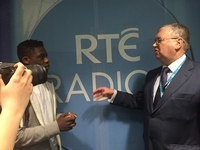 The TY Access Project has been running for three years and encourages transition year students from DEIS schools to pursue further study or a career in multimedia. This year RTÉ expanded the project to include DEIS schools from outside Dublin and Irish language speakers. 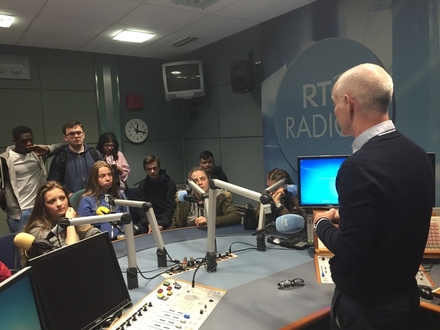 There are three separate weeks with sixty TY students from all over the country participating, learning new skills, visiting colleges, observing RTÉ programmes and producing their own content. Students came from Chanel College Coolock, Crumlin, Donahies Community School, Donghmede, St. Paul’s Christian Brother Secondary School, Brunswick Street, Loreto College, Crumlin, St.Michael’s Holy Faith Secondary School, Finglas, St.Dominic’s Secondary School, Ballyfermot, St.Laurence’s College, Loughlinstown, Holy Child Community School, Sallynoggin and Mercy Secondary School, Inchicore. 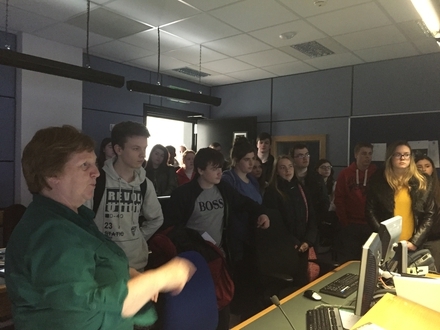 Irish language students come from all over the country including the major Gaeltachtaí to An tAcadamh sa Cheathrú Rua in association with NUIG.